Fifties Fender II, Watercolor, 30 x 20"
As a watercolor artist I have felt the frustration that can rise up when, after hours of careful work, the paper I have slaved over begins to buckle and curl. I have found several ways to avoid this problem over the years. The most traditional and time honored of these methods is to stretch the paper on a rigid surface (masonite drawing board, gator board, etc.). This is done by soaking the paper in water to thoroughly relax the fibers in the paper. Then the paper is placed on the surface and taped or stapled in place. I have always used paper package sealing tape that has an adhesive that becomes activated by wetting the glue on one side. The paper is then allowed to dry completely. As the paper dries, the fibers tighten within the paper and stretch to an extremely taut surface, almost like the skin of a drum. This stretching holds the paper in place and water and washes can be applied to it without it resulting in buckling or curling. This method can be frustrating because sometimes the tape does not hold completely and the stretching process can result in buckled paper from the get-go. 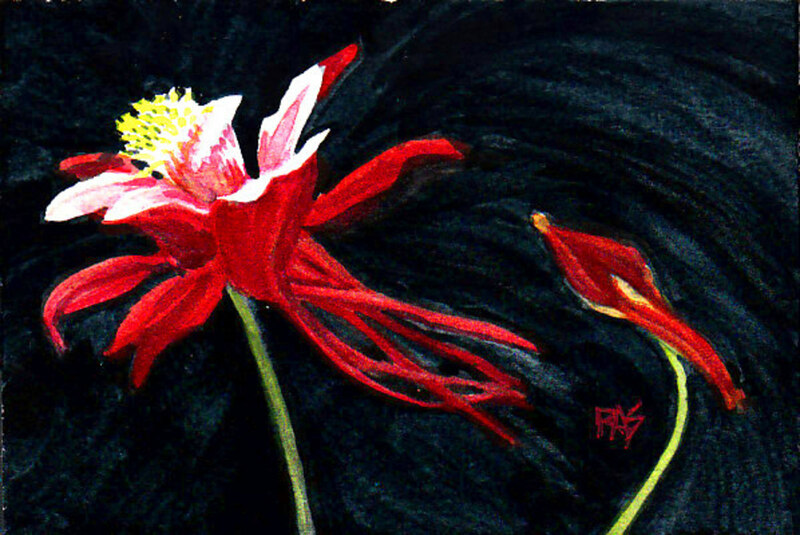 One great benefit of this method is that the artist can stretch paper in whatever dimensions he or she desires. The other methods I'm going to describe later require the artist to work in the dimensions predetermined by art supply manufacturers. Another plus to this method is that the artist is free to use lighter weight (thus cheaper) paper and still get a good, smooth result. I should mention here that one way to avoid the problem of buckling and curling watercolor paper is to buy a really heavy weight paper (300 lb +). This is a solution that I don't frequently use, because to me the cost of the paper is prohibitive. However, this is the most straightforward solution to the problem. If the cost is something that is not an issue for you, this is the easiest way ensure your paper will not warp. Another almost fool-proof way to prevent watercolor paper from buckling and curling is to work on a watercolor block. This is a pad of watercolor paper that has each sheet glued in place on all four sides with just a little opening in one side. Each sheet is thereby "stretched" and ready to have paint applied with no additional effort on the artist's part necessary to prevent warping. This is a more affordable way to preserve the smoothness of the paper than the heavy watercolor paper, and it is much easier and reliable than stretching the paper in the way mentioned above. Much of my work is done on watercolor blocks. They come in various sizes and styles of paper. Just a note to mention that watercolor paper comes in several types of surface: cold press, hot press, and rough. Each surface has its benefits and characteristics. 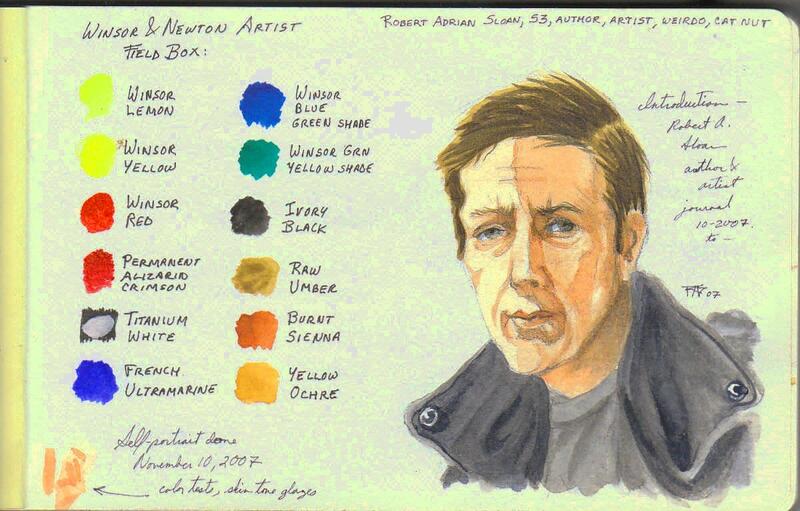 It's best for an artist to experiment with each type of paper to see which fits his or her style and objectives. 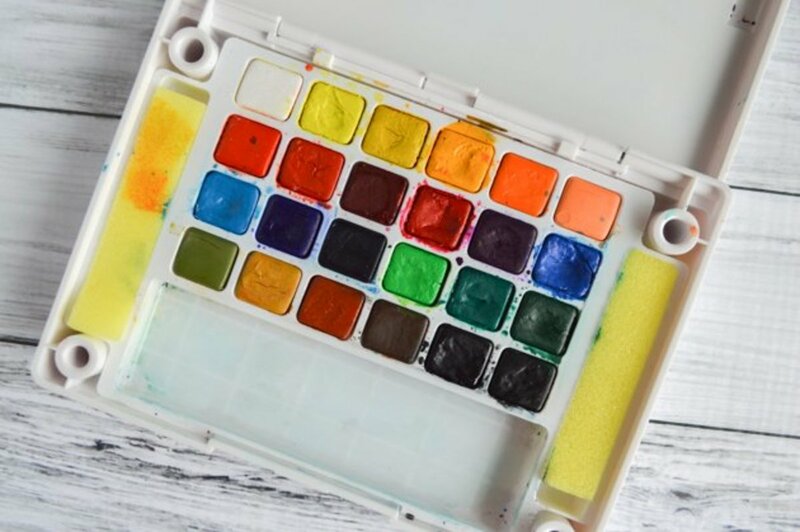 Once the painting on the watercolor block is completed and thoroughly dry, the artist simply carefully cuts the finished painting off the top of the block using an exacto knife and the next sheet is revealed and ready for the upcoming masterpiece! The small opening in the glue surrounding the watercolor block is designed to be the place where the artist can start the cut to remove the top sheet once the painting is completed. The last method for keeping watercolor paper in good shape when applying washes is the watercolor board. This is a relatively new invention, and it is great for allowing artists to use light-weight papers and still use very highly liquid washes without dire consequences to the integrity of the paper. 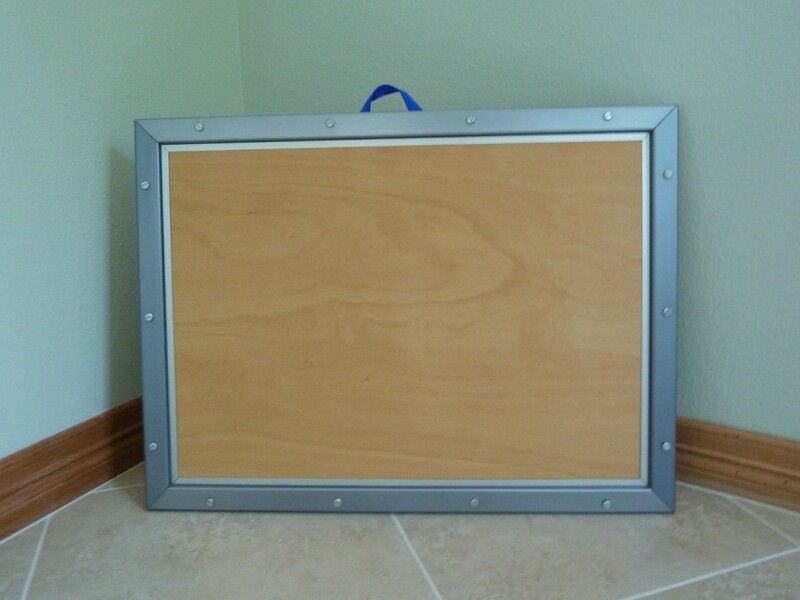 The board consists of a wooden panel with a metal frame around the perimeter. The board works similarly to the paper stretching method I described earlier. Instead of stapling or taping the wet paper to the board, the paper is fastened through the use of the screws spaced around the metal frame (see picture). I have never had a failure when stretching my paper with the watercolor board. My board is large, accommodating a full sheet of watercolor paper. This is my "go to" paper stretching method when I want to create a large painting. I purchased my board several years ago for about $120. 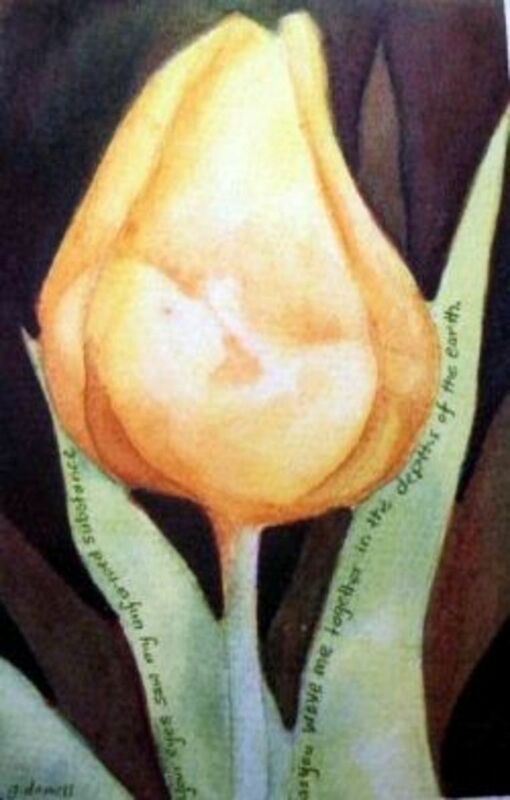 The WatercolorBoard is available at Judsonsart.com. 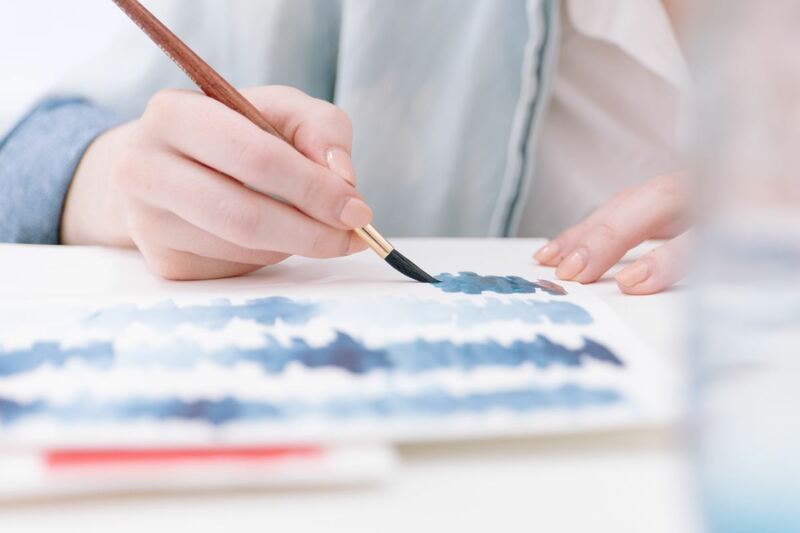 There are many solutions to the problem of keeping watercolor paper unruffled by the abuse we artists heap on it in the pursuit of our masterpieces. Some of these solutions are more expensive and demanding than others. My experience has taught me that all of the methods I have described in this hub can be successful, and I use them all. It is up to each individual artist to determine which of these methods work best for them. My suggestion is to try a variety of these methods and see which is most comfortable for you. How can one apply kraft paper backing to painting and moisten so it will shrink in place? I understand you would like to apply a paper backing to a painting, but I'm not sure why you would want to do that. There is a technique of stretching paper by moistening the paper and taping it down to a board with craft paper tape. This technique is discussed in my article. I'm glad you enjoyed this article, Fiona. I hope you'll try some of these possible approaches and see if they work for you. A very interesting hub - I had problems with paper buckling on me - even the 160g - and so I nearly gave up using watercolors. Thanks for your comment, Tina! 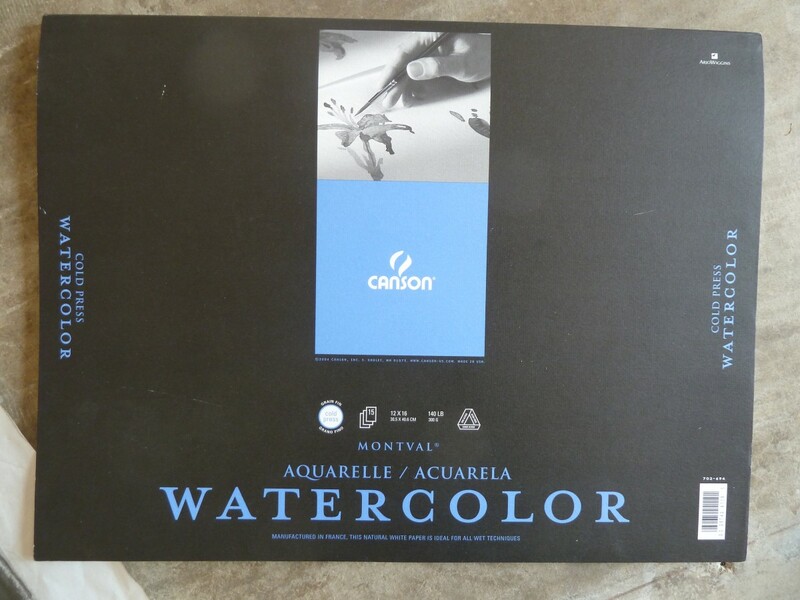 I should have mentioned watercolor canvas in my article. I have tried it, but not for a number of years. I will have to revisit the watercolor canvas and add it to the list in this hub. I am in love with watercolor canvas! No buckling, the paint dries vivid because the pigment doesn't soak into the canvas like it does on paper. Took me a little while to get the feel for it, but I love it....may never go back to paper again! Thanks for your comment, stuff4kids. The method your daughter uses is a good one, though I have trouble getting the gummed tape to stick at times. If it doesn't, the whole effort is lost, and one must start again. You are right, the buckling and warping of the paper while working in watercolor is very unpleasant and ruins the experience (and the painting!). Thanks again for your comments, and best of luck to your daughter and her watercolors! 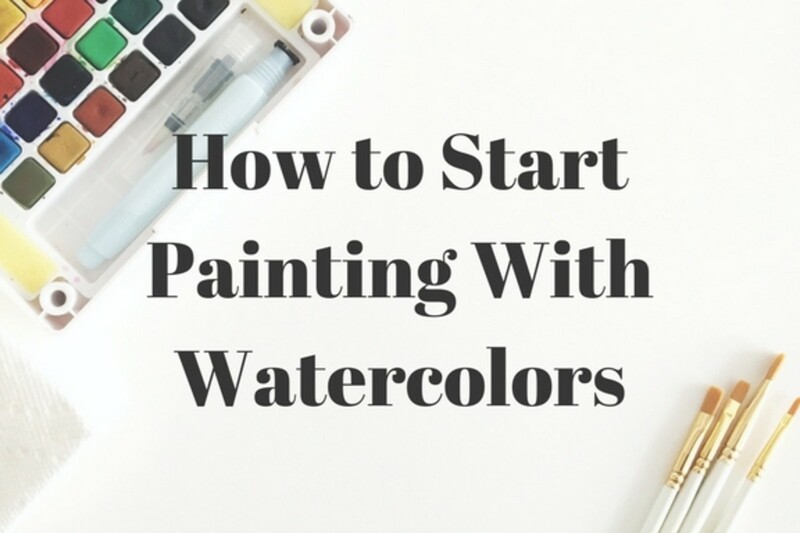 Great tips - and an amazing painting! One of my daughters is a keen watercolorist. I think she dampens the paper first and then tapes it down with paper gum tape. I always remember the frustration in school (a long time ago now!) of the paper getting runkled as it was wet. Thanks, Better Yourself! I appreciate your kind comments about my painting. You are right, it requires patience to do a painting like "Fifties Fender II"but the results are worth it. I really enjoy the process, so it isn't a burden at all. I'm glad you found this hub useful. I hope you'll try some of these methods for keeping your watercolor paper smooth and flat and that you'll give watercolor painting a go! The painting in the hub is fantastic! Watercolor is not something I have mastered and honestly haven't had the patience to get a handle on it, but I am in awe of the car painting you did. These are great tips and something else I just haven't taken the time to figure out yet so this was very helpful - Thanks for sharing! Thanks for taking the time to leave a comment, Naomi. I'm glad you found my hub interesting. I did give one source for the watercolor board in my hub. There may well be others. It is a great way to stretch paper without as many pitfalls as the old taping method. Thanks for your comments, Vanster. I'm glad my hubs have been useful to you. 50's Fender II is one of my favorite paintings too! These are excellent choices and options to preventing buckling of watercolor paper! You have captured all I know and explained them to where a person of very little knowledge can understand them! Great hub! The only one I haven't tried is the one where you have a board and fasten the paper down by screwing the frame on the board I would like to find such a tool and will have to check all my supplier choices. Again great job! I love 50's fender so much. 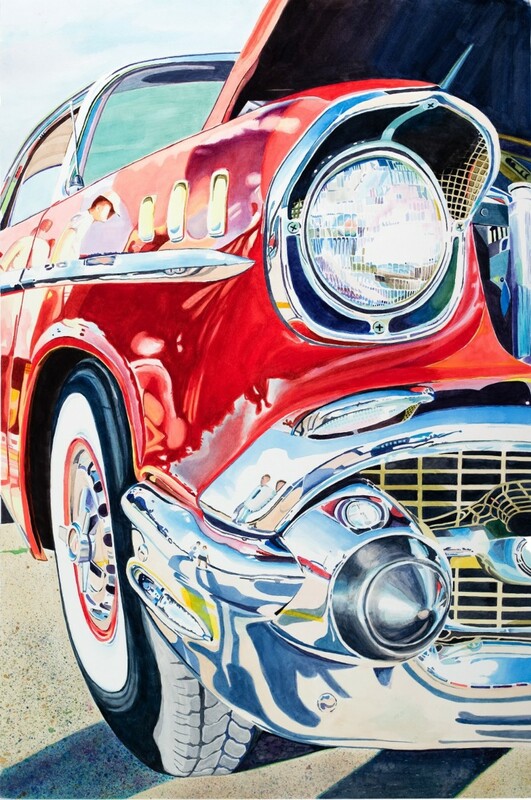 The detail is richly interesting, right down to the admirers reflected in the shiny paint and chrome. I'm learning so much about the process of watercolor painting from your hubs. Debbie - I'll be ready to see when you're ready to show! Don't despise your small beginnings! The best way to learn is to keep on trying and experimenting. Make sure you don't get discouraged! There are a zillion ways to apply watercolor - it all depends on your style and the effects you want to achieve. I'm afraid my painting is just in the beginning stages...maybe I will share when I have a little more practice and something actually turns out the way I want it to. I'm trying to learn to be more "free" in my technique...probably need to use a lot more water. Thanks, Debbie, I will check out your hubs. It must be a great experience living there. I'd love to see some of your paintings, too! Hi! Yes there are plenty of subjects to paint here, and I'm taking photos right and left, with the hope of finding time to paint soon. Check out my hubs "An American Living in Colombia" and "A Day in Salento, Colombia". Be well and happy painting! Thank you, Debbie! I'm glad my hub has helped you. 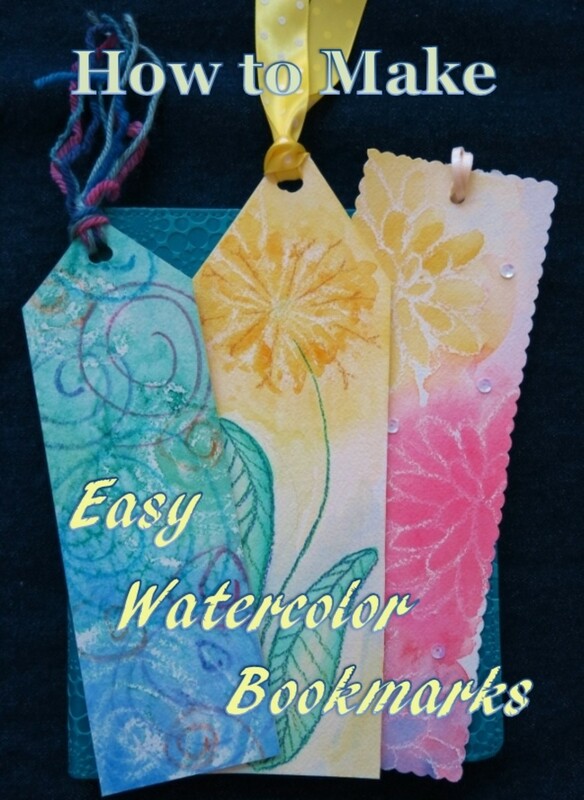 The watercolor blocks are a very easy way around the problem. How wonderful to live in Colombia! 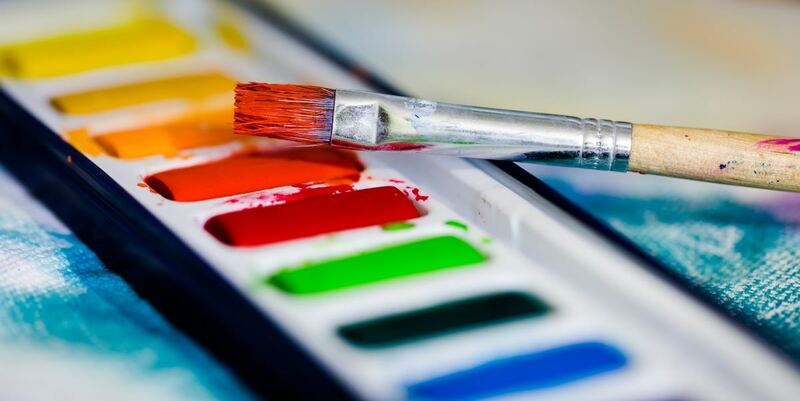 There must be fabulous subjects for your paintings there. Thanks! I wish I had found this Hub a few months ago when I started doing watercolor. I live in Colombia most of the year and the quality of paper is not the best. On my next trip to the U.S. I will pick up a couple of watercolor blocks that you mentioned. That seems to be the most efficient way to avoid the buckling! I found your Hub very helpful! Thanks, Claire! I love it too! That is one of the large paintings I've done on my WatercolorBoard. It has helped me make several large paintings with relatively light-weight paper with no problems with the paper buckling, wrinkling, etc. I DO LOVE THAT PAINTING OF THE FIFTIES FENDER!